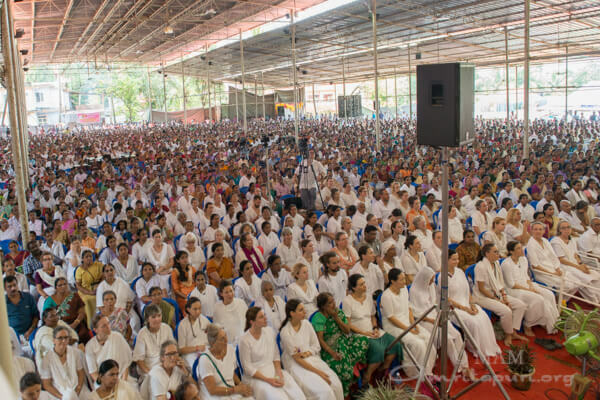 After a successful program in Coimbatore, the tour group packed up and drove to Kozhikode for the last stop of the Bharata Yatra’s 3rd leg. 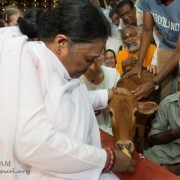 The Kozihkode ashram was overflowing with love by the time Amma arrived. 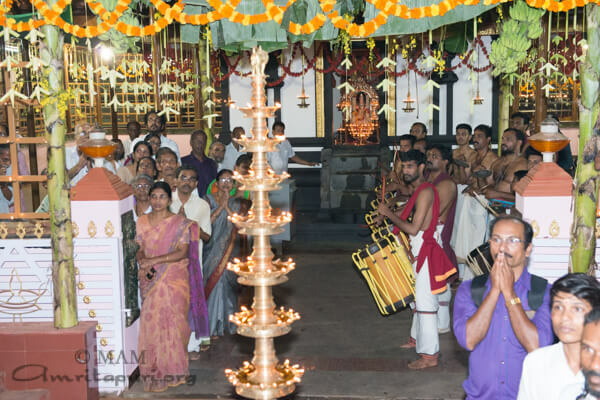 Crowds of devotees were there to greet her, all of them with the mantras “Om Amriteswaryai Namah” on their lips and “Sinkari Melam” in the background. 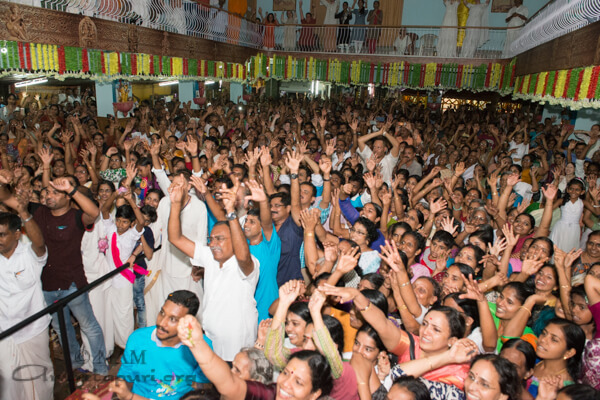 The atmosphere was thick with the pure sensation of devotion. 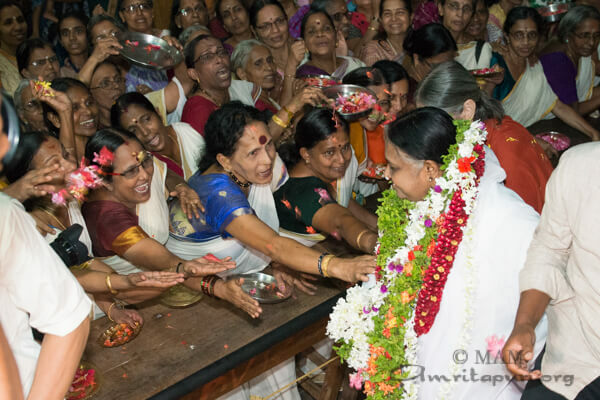 Amma made her way to the stage and served prasad to all those who came to greet her, as well as the tour group. 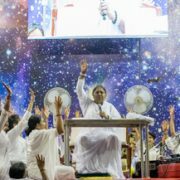 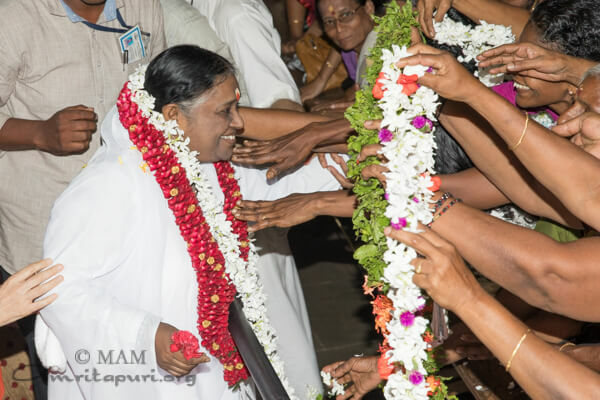 After all had received their plates, Amma held and question and answer in which she discussed the importance of a disciplined, regular spiritual practice, and the role such a practice plays in keeping the aspirant on the spiritual path. 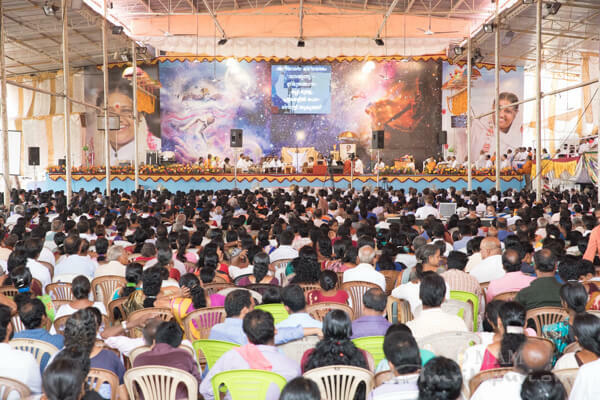 The following day marked the first program. 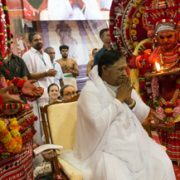 Among the many dignitaries there to welcome her to the city was renowned archeologist KK Muhammed, the former Regional Director (North) of Archeological Survey of India. 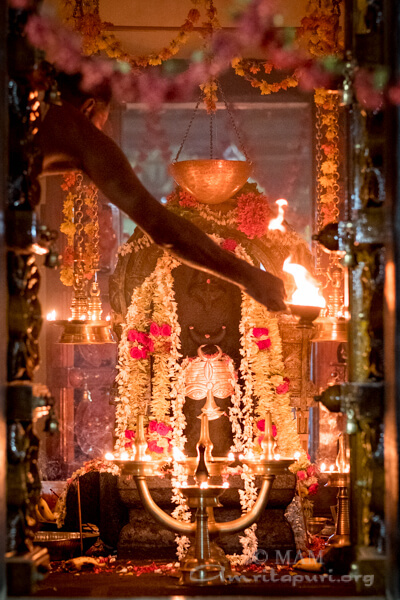 He has excavated over 100 temples and is a fierce advocate for The Sri Rama Temple in Ayodhya. 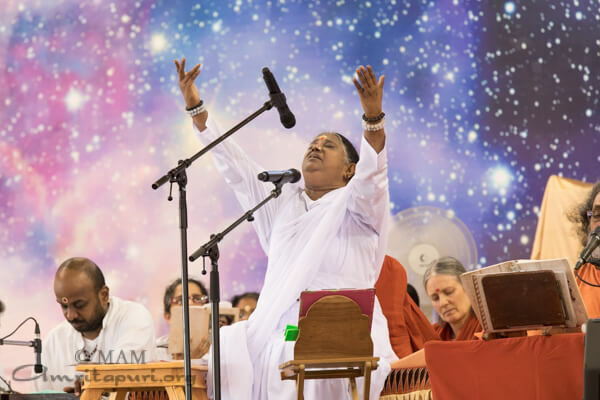 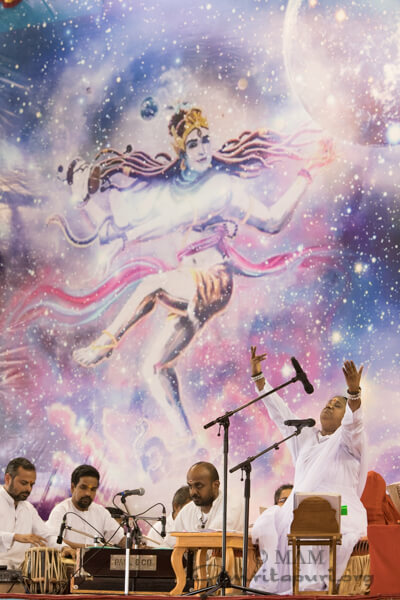 Speaking on the occasion, he said: “When I see the people from different nationalities here in front me, attending this program, I see Amma is spreading the message of humanism beyond the boundaries of regions and religions. 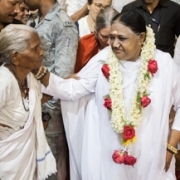 Only humanism is there in Amma’s mind. 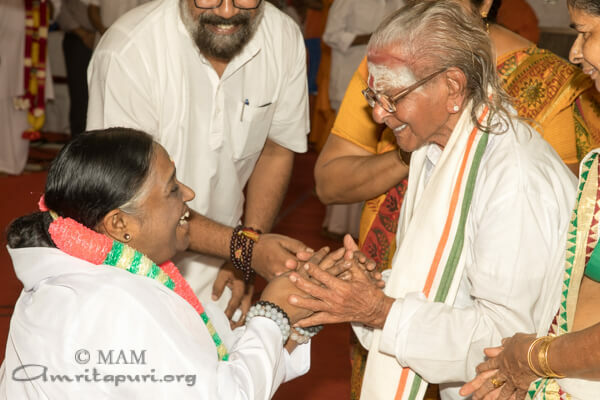 Also there to honor her visit were: Chemangery Gurukkal, a Kathakali master who celebrated his 100th birthday; Kummananm Rajasekharan, the State president of BJP; PV Chandran, MD of Mathrubumi; and PV Gangadharan. 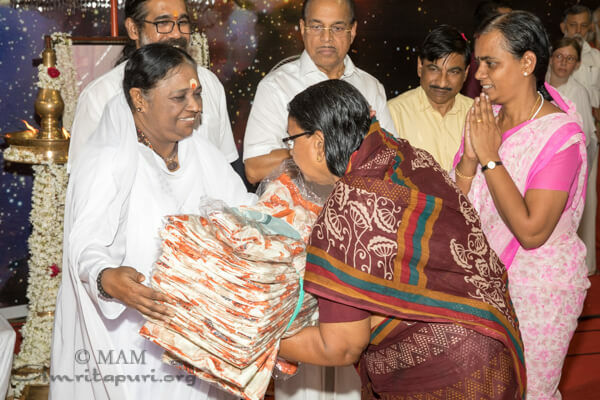 After the various distinguished guests had delivered their speeches, Amma gifted saris to local members of the AmritaSree Self-Help Group. 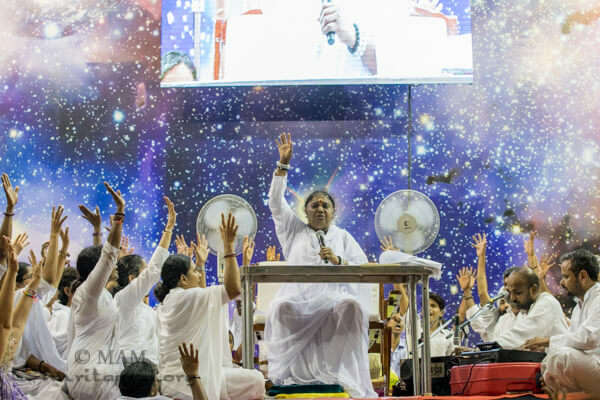 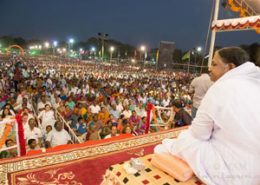 Speaking to the crowd, Amma highlighted the importance of developing a meditative mind: “We have a responsibility towards all those suffering from illness and poverty. 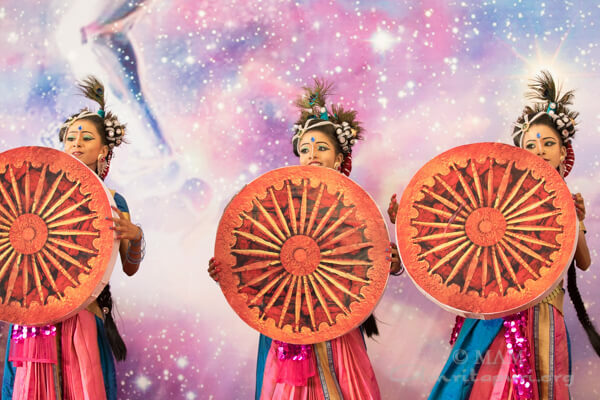 We need to provide them food, care, and the light of knowledge. 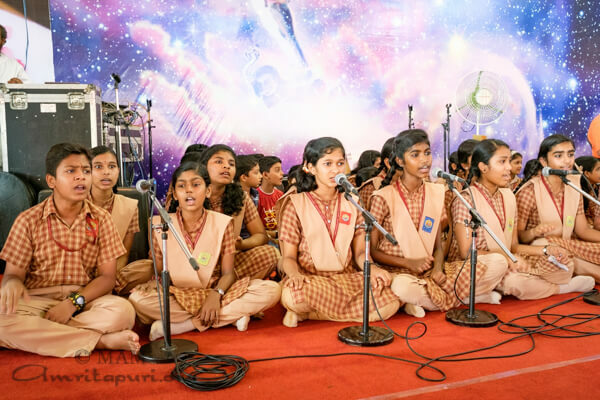 This is our duty. 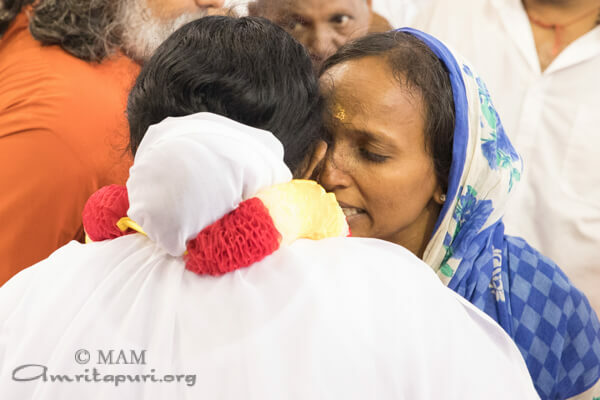 We all are children from the same mother. 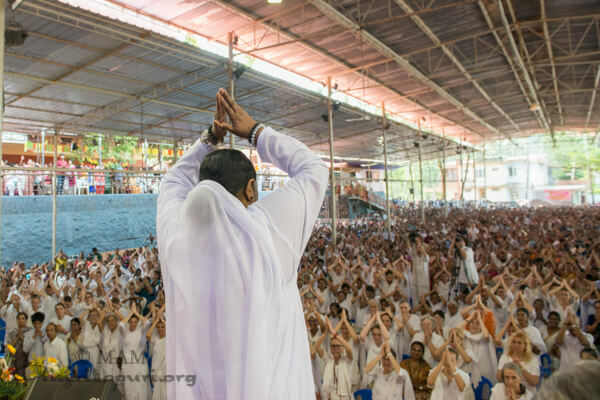 We need to realise that we are one and our hearts have to be united in love. 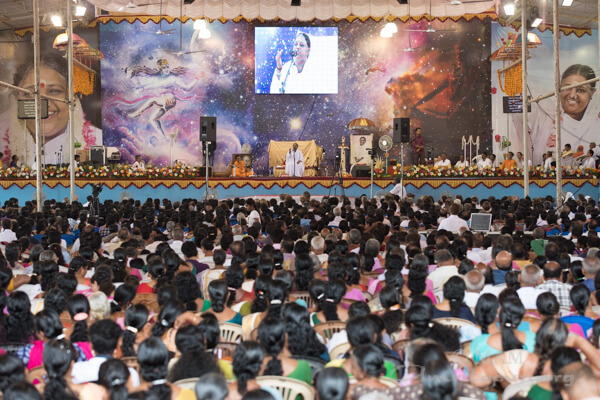 After delivering her satsang, Amma sang bhajans, led a meditation, and directed all in a manasa puja for world peace. 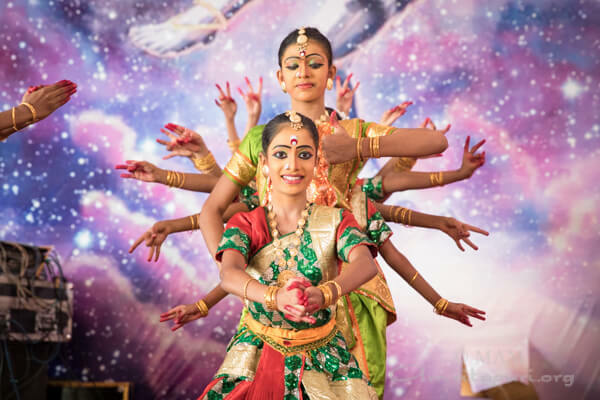 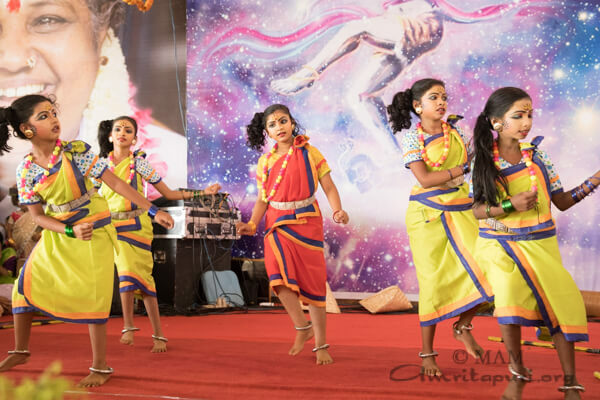 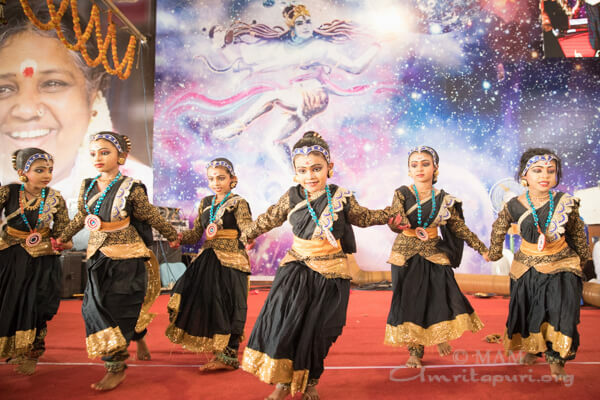 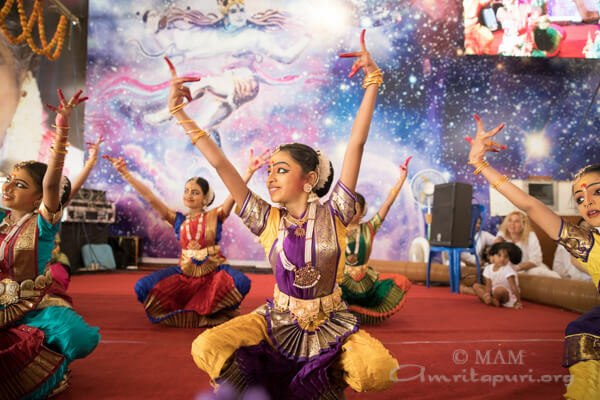 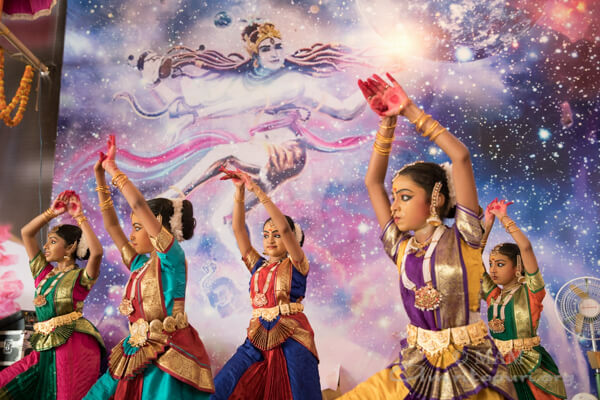 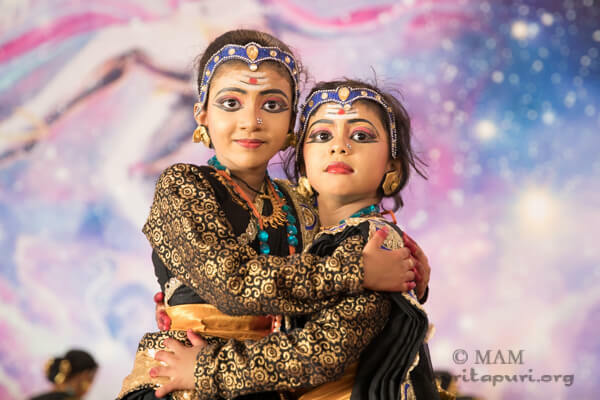 As soon as darshan had begun, Amrita Vidyalayam students were on stage, ready to perform dances, plays, and songs they had been preparing for weeks. 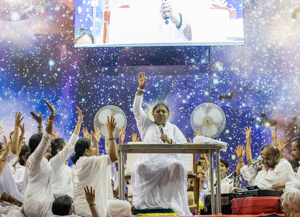 The festivities carried on late into the night, filling the ashram grounds with pure devotion. 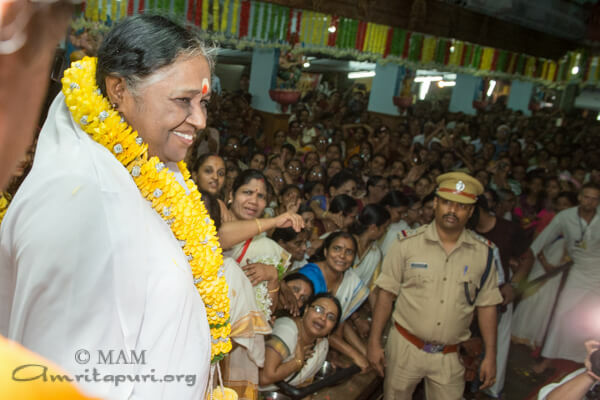 It is no wonder that Kozihkode is referred to as “Amma’s Vrindravan,” everywhere one looked, devotees could be seen with the words “Amma, Amma, Amma…” on their lips. 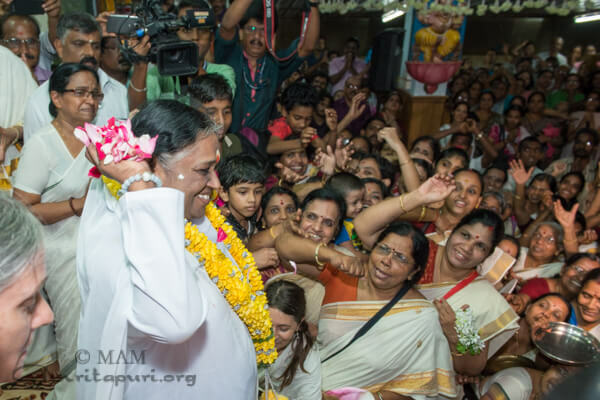 At 3am, darshan came to an end and Amma bid farewell to all before beginning the long journey back to Amritapuri. 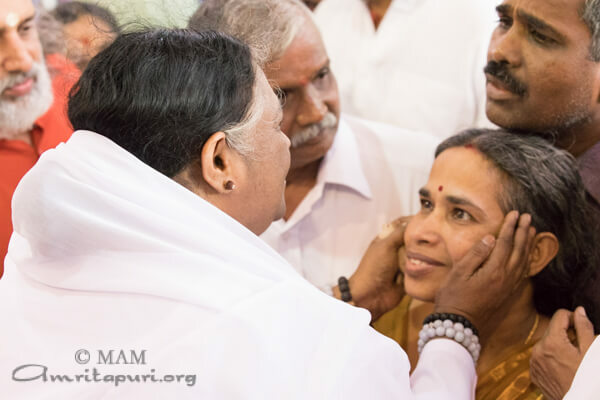 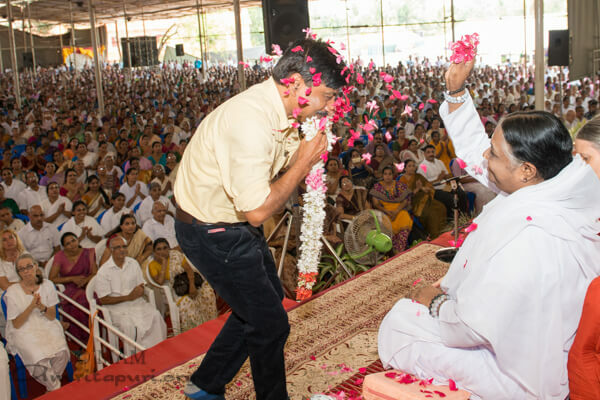 The 3rd leg of the Bharata Yatra was over, but the power of Amma’s presence would carry on.